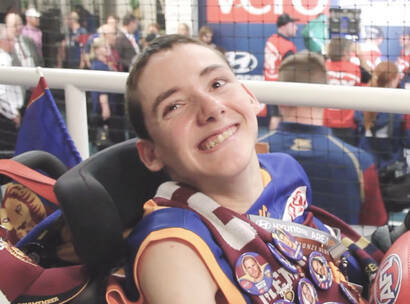 For a boy who loves football, has only ever attended one AFL match and never experienced the simplest things like going on a train, being able to attend the pinnacle of the AFL season and see his team play at the MCG for the premiership was something beyond what Edgar could ever imagine. Edgar is 8 years old and from a remote community 400km outside of Alice Springs. 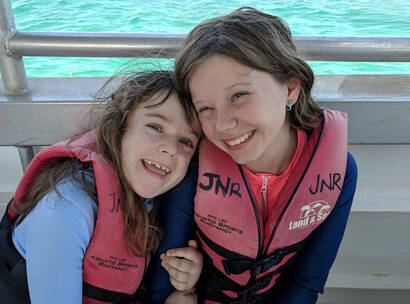 He regularly makes the long trip to Alice Springs to receive treatment for his life threatening condition Nephrotic Syndrome. Edgar's not responding to treatment and will soon need to start dialysis, meaning even more long trips to the hospital for the young boy who has already spent more hours in hospital than most adults ever will. 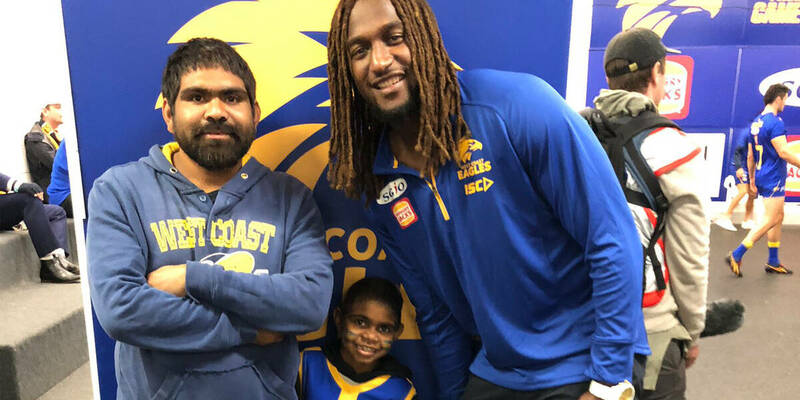 Edgar can only say a few words in English outside of his Australian Indigenous Local Language, but is a passionate West Coast Eagles supporter and can sing the club’s song word for word. His idolises Nic Naitanui and will jump off his chair, dance, yell and pump his fists every time Nic scores a goal. Edgar’s wish to meet Nic Naitanui was all ready to go with Edgar flying to Perth to watch his first AFL match. 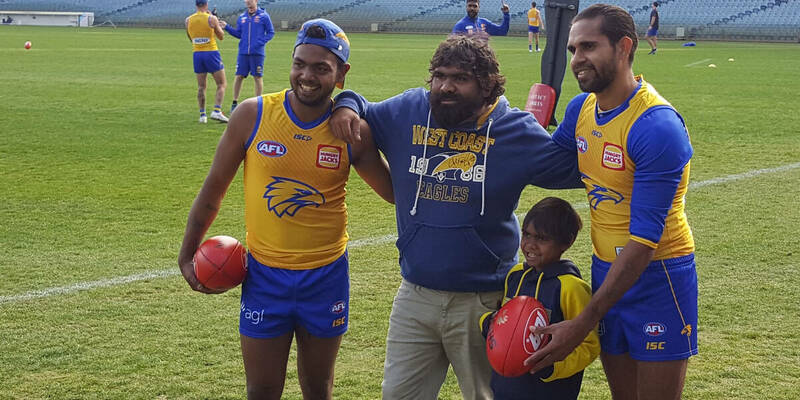 Unfortunately, Nic Naitanui got injured just before Edgar arrived so he wasn't able to meet his hero. While meeting the team and attending a match were still incredible experiences for Edgar, we were determined to make sure his full wish came true. With the help of Hungry Jacks that’s exactly what happened! 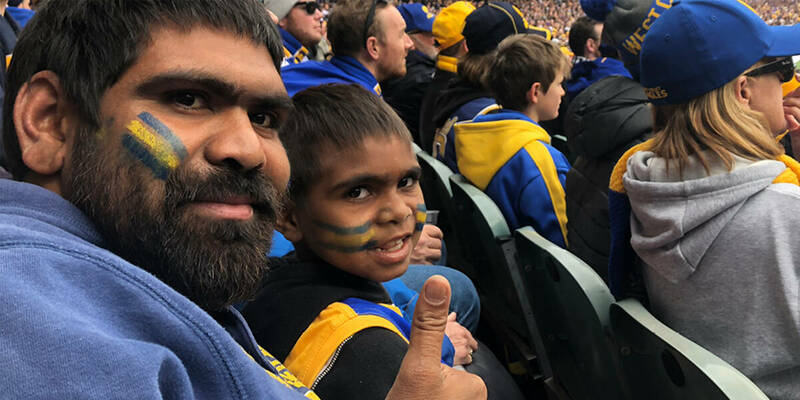 At this year’s AFL Grand Final Edgar was given the opportunity to run out on the field with his beloved West Coast Eagles and finally meet Nic. Being able to show kids like Edgar that the impossible is possible is so important. 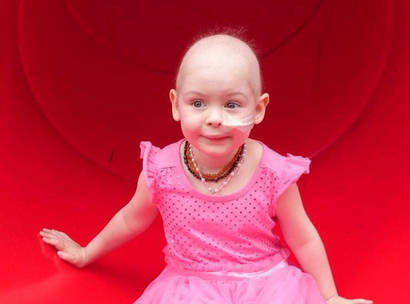 It gives them renewed hope for their future and the emotional resilience to continue fighting their illness. And puts a massive smile on their face! Help other seriously ill kids like Edgar experience a life-changing wish.